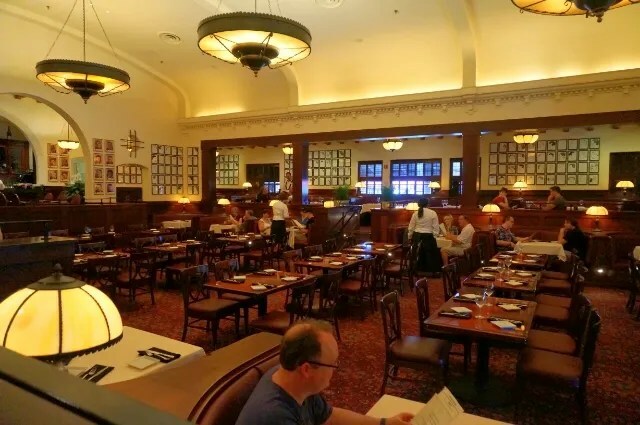 I decided to try and check in about a half hour early for my 12:15 lunch reservation and when I entered the lobby I was surprised to discover that they had not opened the dining room and began seating yet. I thought I had read somewhere that they opened at 11:30 but apparently (on this day anyway) they did not open until 12:00. 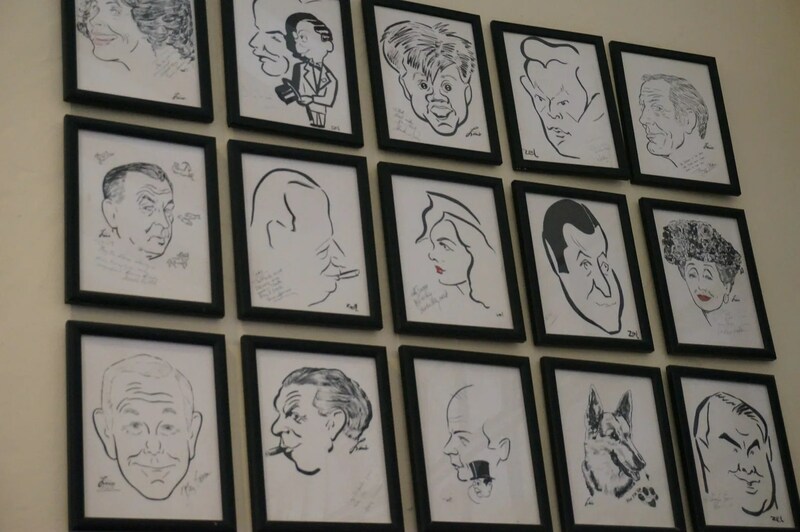 So to pass the time I walked around the lobby and took photos of some of the caricatures which line the walls. 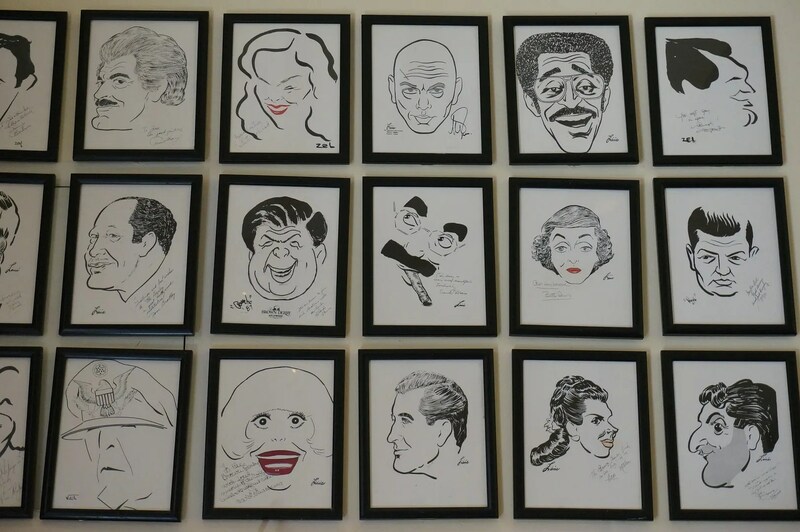 Many of these faces look familiar but I can only positively identify a few, so perhaps you can help me “Name the celebrity”?? 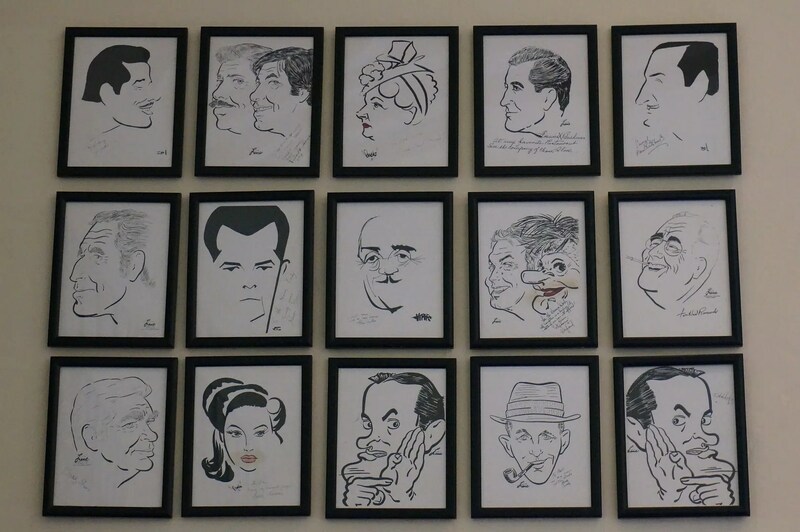 As you can see, I’m not very good at the “Name the Celebrity” game…hopefully you are better. 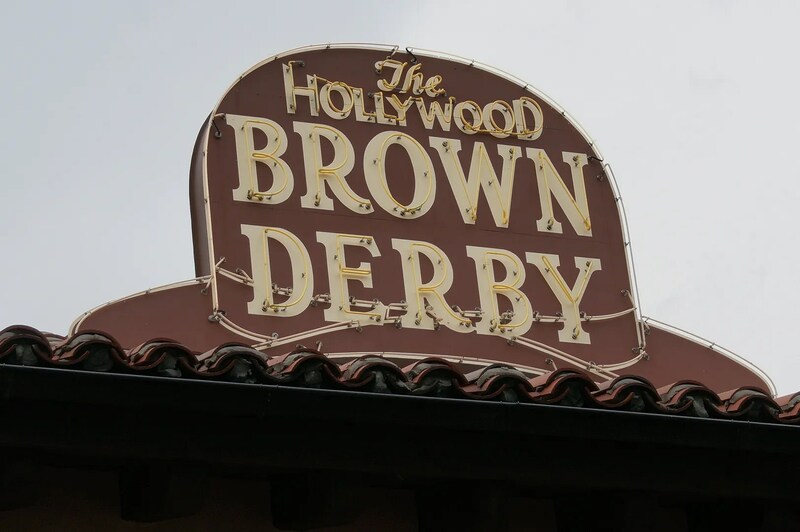 So anyway, soon it was time for the opening ceremony that they do each day at the Brown Derby. 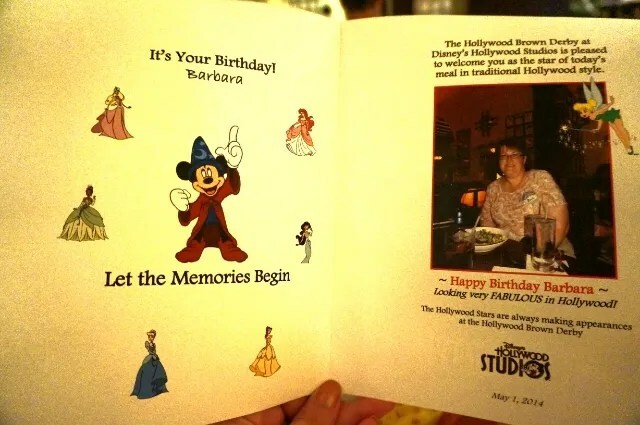 They choose someone who is celebrating a special occasion and make them the Celebrity of the Day. 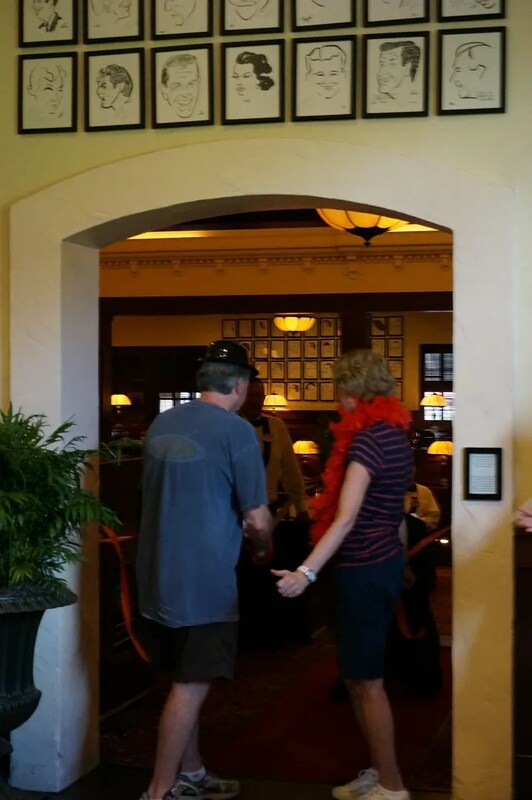 Donning a derby hat and a feather boa, the chosen couple (who I believe were celebrating their anniversary) cut the ribbon at the entrance to the dining room. 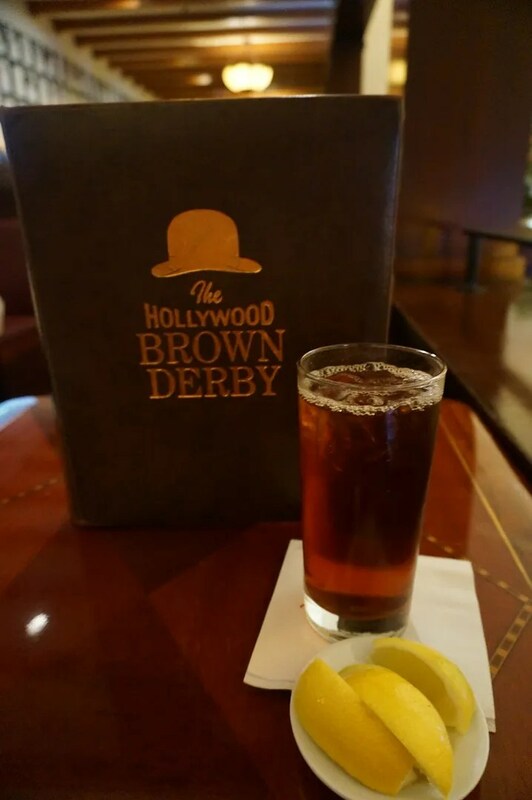 Ok, let’s get started on the food and beverages, shall we? 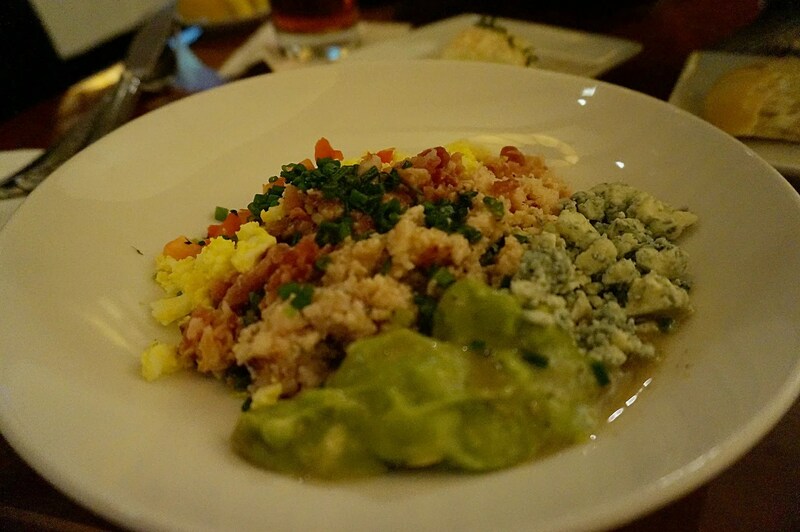 …but after a quick photo, the ingredients were mixed together by my server. 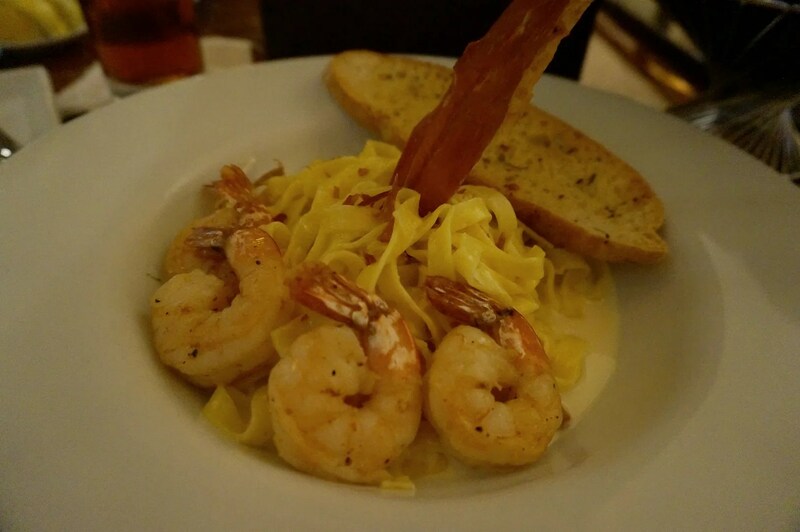 This was absolutely delicious! 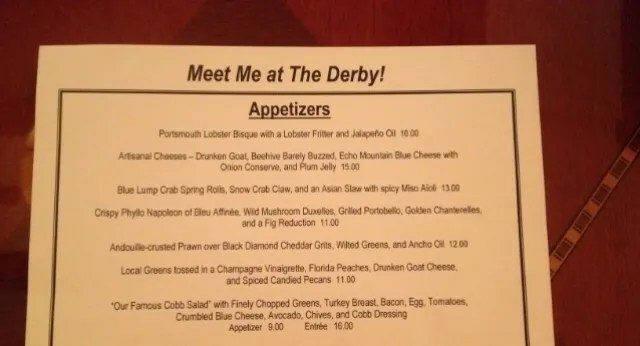 It was quite difficult to keep myself from eating all of this, but I wanted to save room for my entree plus I was determined to also have dessert. 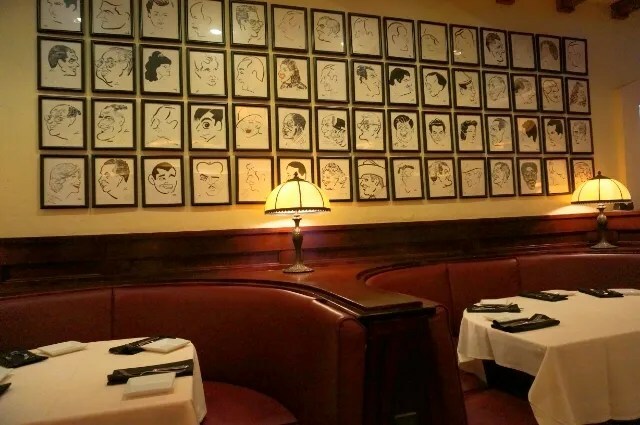 Now there are many stories regarding the origin of the famous Cobb salad, but one of the most common is that the owner of the original Hollywood Brown Derby, Robert Cobb, was raiding the fridge at the restaurant late one night in order to put together a midnight snack for Sid Grauman (owner of the famous Grauman’s Chinese Theater). He mixed together lettuce plus leftovers of bacon, egg, avocado, blue cheese, turkey, and whatever else he could find in the kitchen. 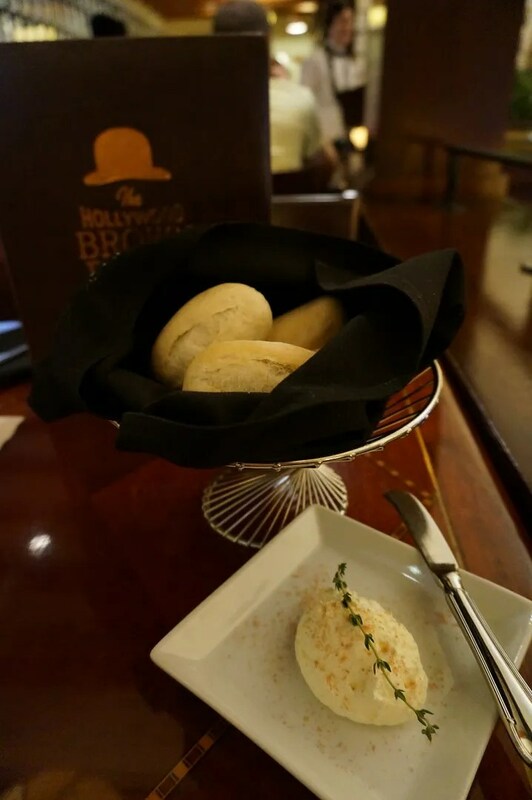 The salad ingredients were chopped fine because Grauman had just had dental work done, and couldn’t chew well. 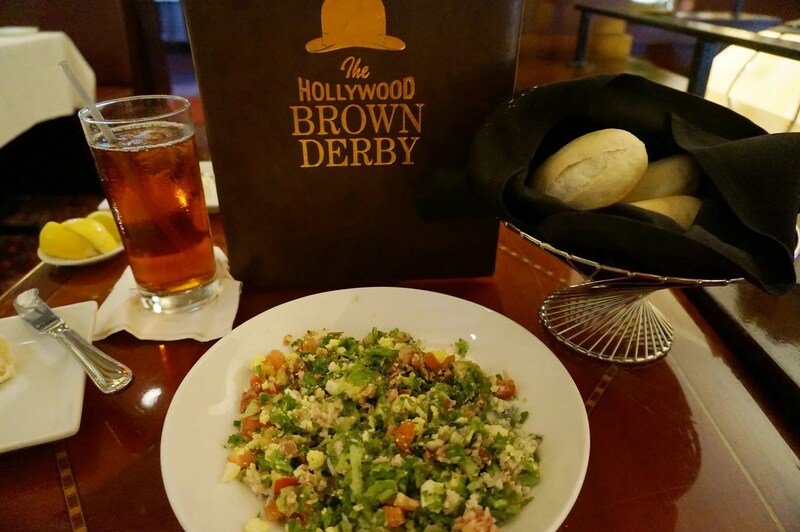 Grauman loved it and the salad became an overnight sensation. 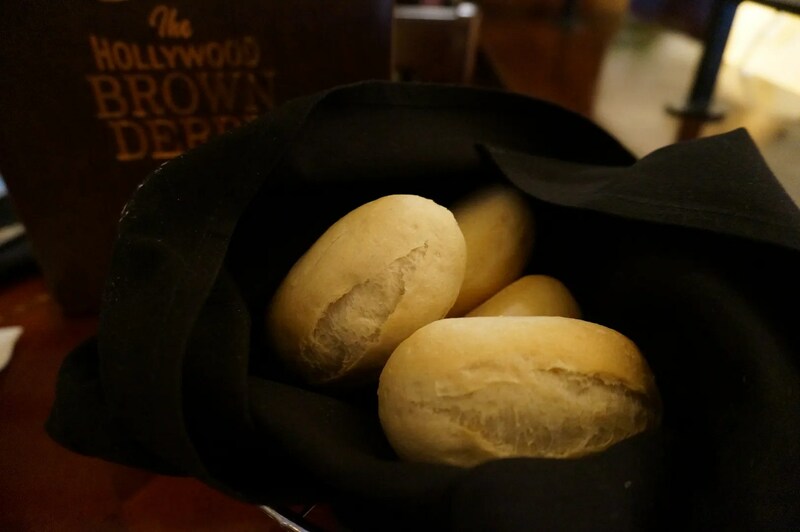 …but would the greatness continue with my Entree? 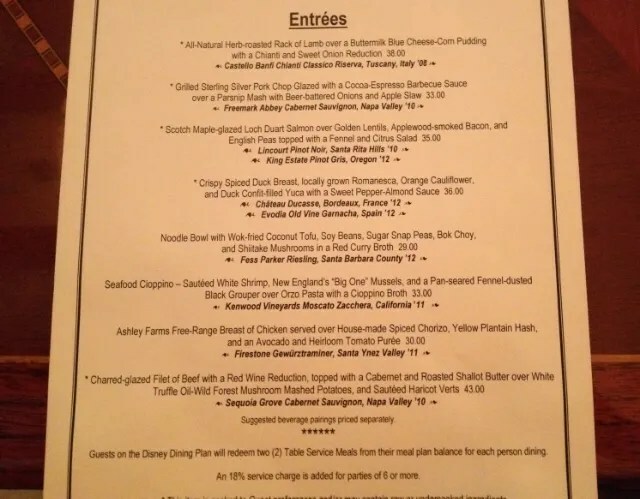 While the entrees on the above menu are available at both lunch and dinner, they also have a special lunch menu from which you can order until 3:00 p.m. each day. 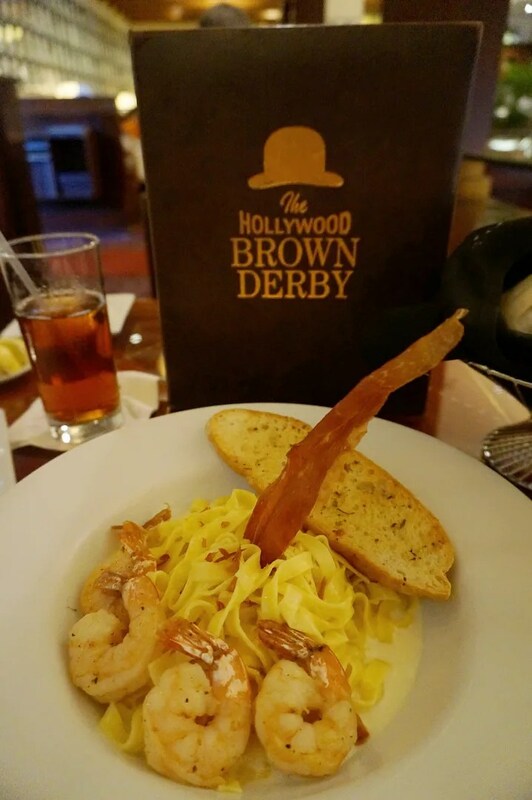 I couldn’t decide between the Wagyu Beef Burger and the Chicken Breast Sandwich (both sounded great), so I surprised myself by ordering the Fettuccine Alfredo…and even more surprising was that I really enjoyed it. 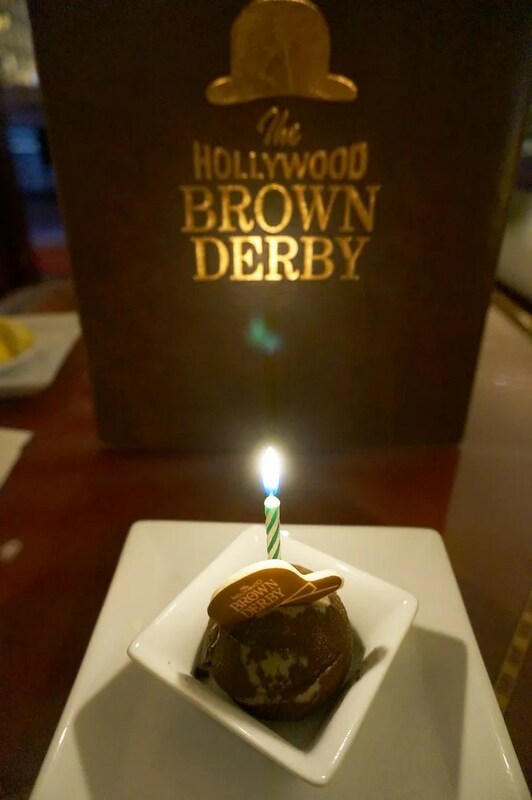 And now is where I admit that one of the main reasons why I wanted to have lunch at the HBD is that I had noticed on their menus that they were now offering mini-dessert trios. I had always wanted to try the famous Grapefruit Cake here, but I feared that I wouldn’t like it since I don’t particularly care for grapefruit. So this seemed like a perfect way to finally taste it and still have two other desserts to fall back on. First of all, as I had suspected, I did not like the Grapefruit Cake…it tasted like grapefruit, go figure?? 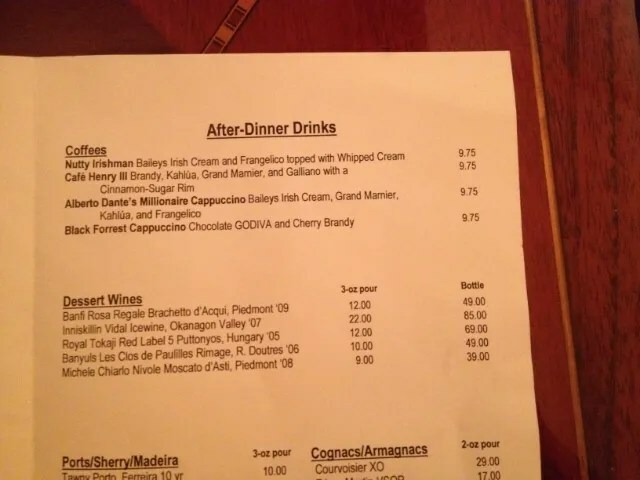 Both the chocolate sphere and amaretto flan were good, but nothing particularly special. 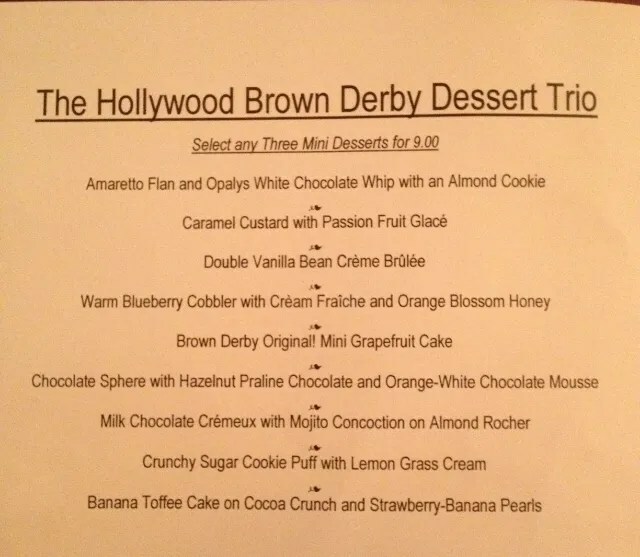 My favorite by far was the Banana Toffee Cake. This was very tasty and one that I would definitely order again, whether it was part of a dessert trio or a full-size portion. 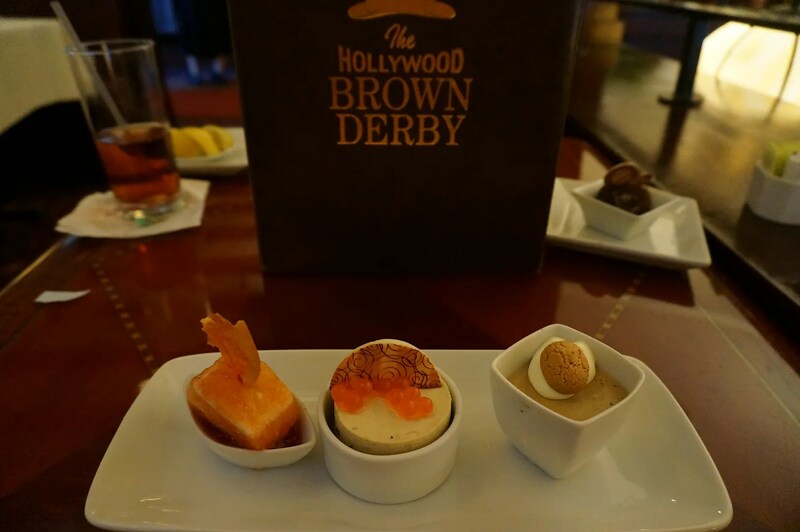 I loved the idea of a mini dessert trio though and applaud the Brown Derby for offering this. 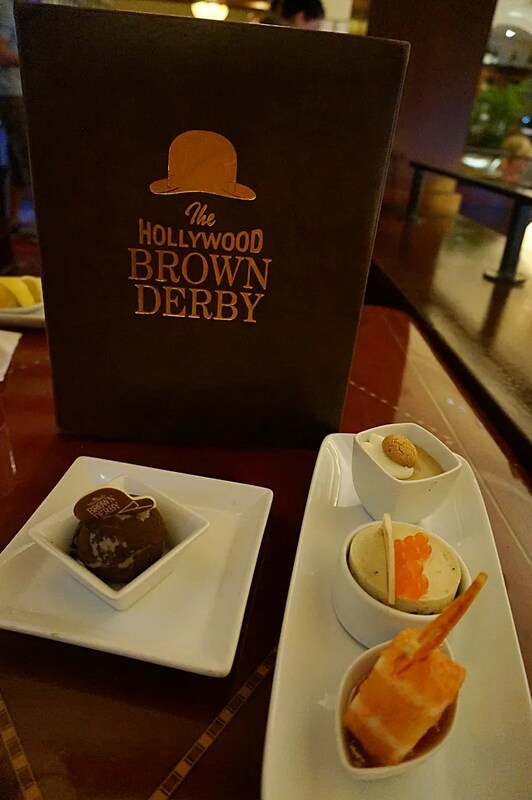 It was a great way to sample several of their desserts for the reasonable price of $9.00. 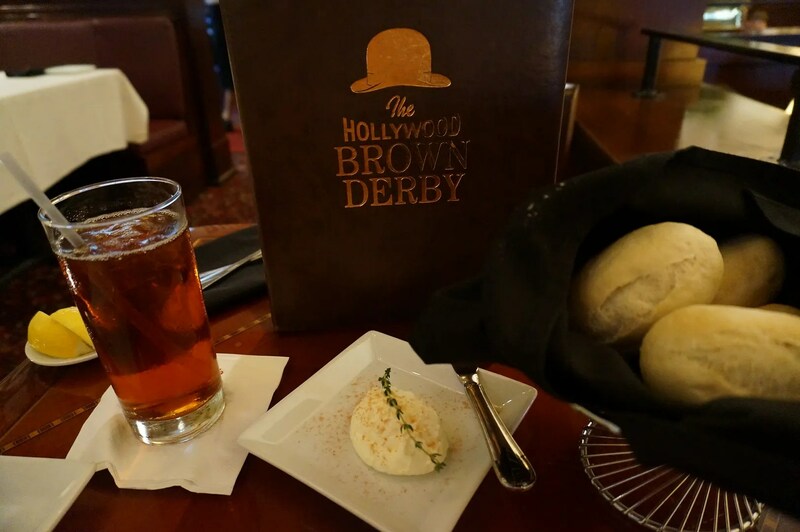 So in conclusion, the Hollywood Brown Derby gets my award for the “Most Improved”. 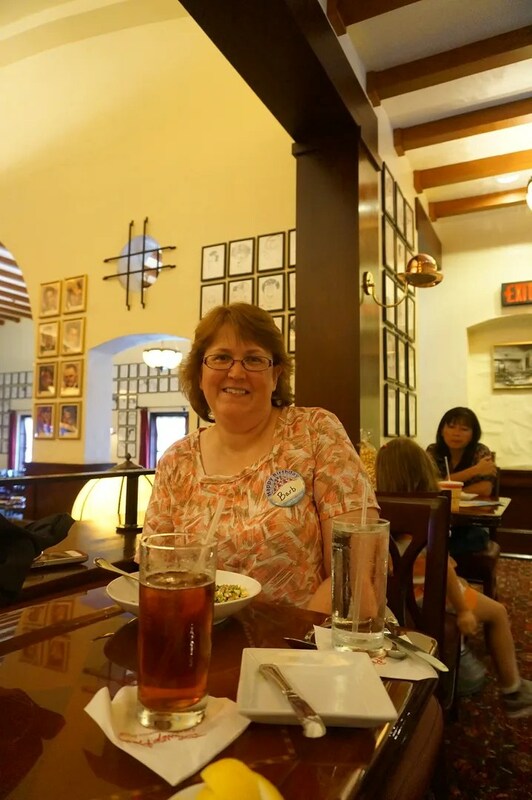 My last time here (May 2011) it was just so-so and then the next summer Brenda (emmysmommy) and family had an unfortunate incident there which involved one of Remy’s relatives, not to mention poor service. 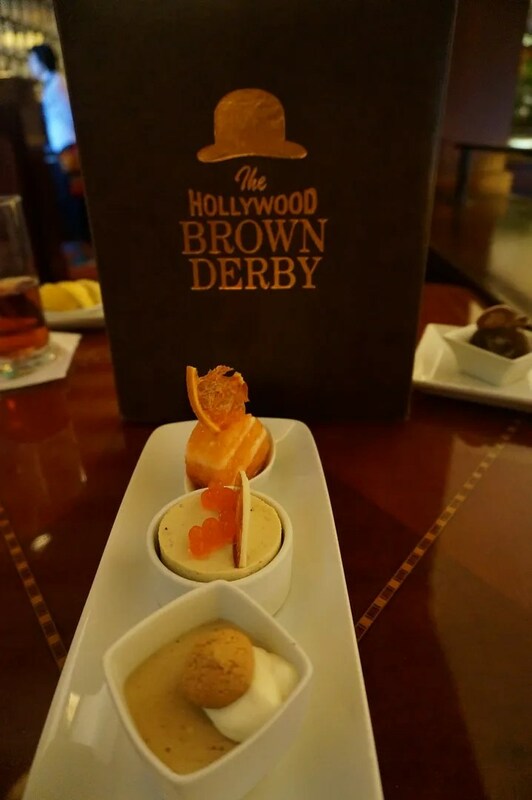 Consequently I didn’t have plans to return anytime soon, but the new lunch menu and the Choose-your-Own Mini Dessert Trio won me over. 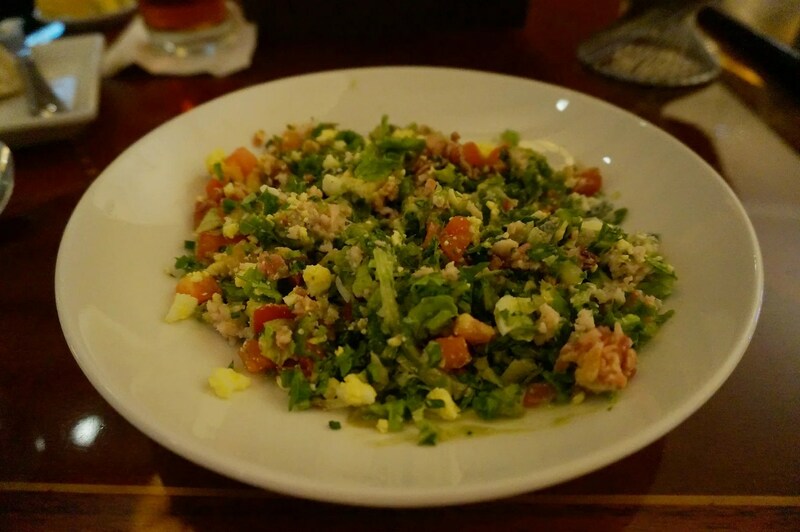 I was rewarded for my decision to give it another try by having both good food and service. 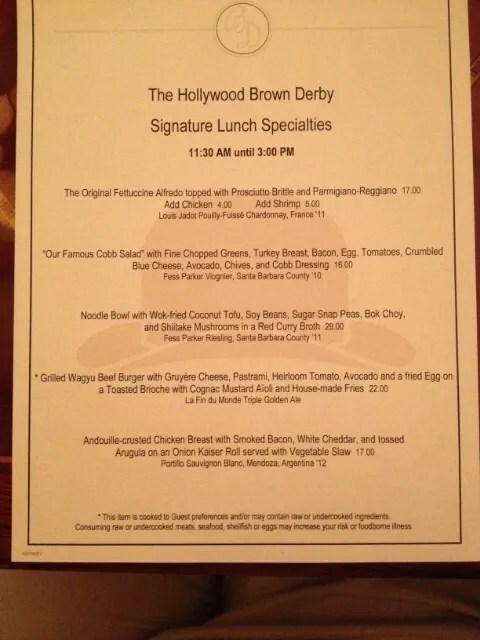 Therefore, I plan to return to the Brown Derby on my next trip, but only if the special lunch menu is still available. 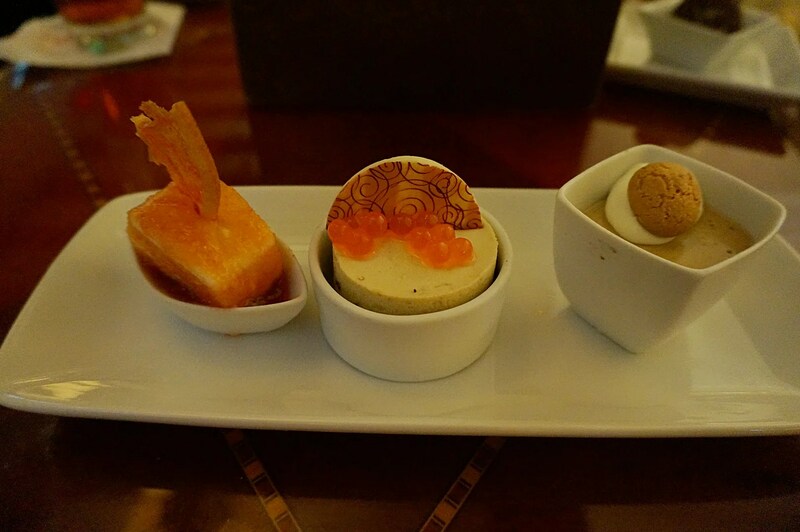 Oh, and I will definitely have the dessert trio again with the Banana Toffee Cake. 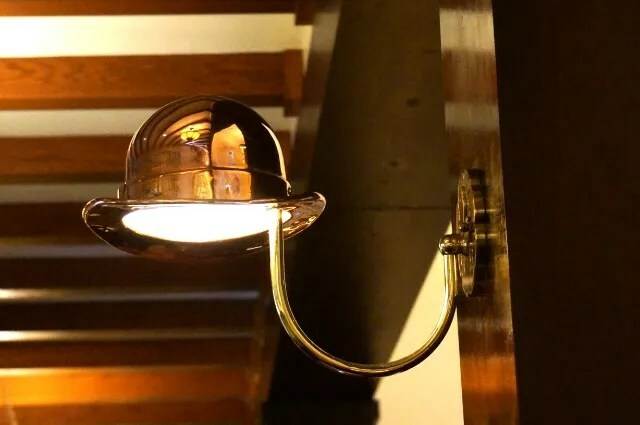 As for my other two choices…well, we will just have to wait and see.